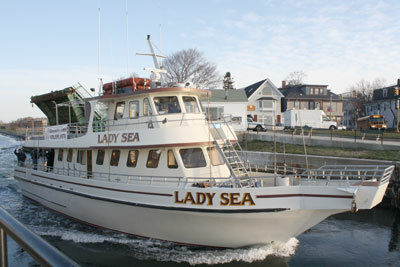 The Gloucester Fleet offers charters in a variety of types. If you have a large group, you might want to consider chartering the boat for a private trip. Whether it’s a deep sea fishing trip, company outing, a birthday party, bachelor party, or any other kind of special event, as a family owned and operated business, we at the Gloucester Fleet are here to answer all your questions and work out all the details, no matter how small. Just call the office to get more information on how to go about booking your first charter with us, we promise you won’t regret it.